Summertime brings a lot of fun, family cookouts, and swimming, but the heat requires extra precaution when caring for seniors. Thankfully, with a few safety concessions, your entire family can enjoy the warm weather. Consider the following elderly care tips before taking older loved ones outside this season. 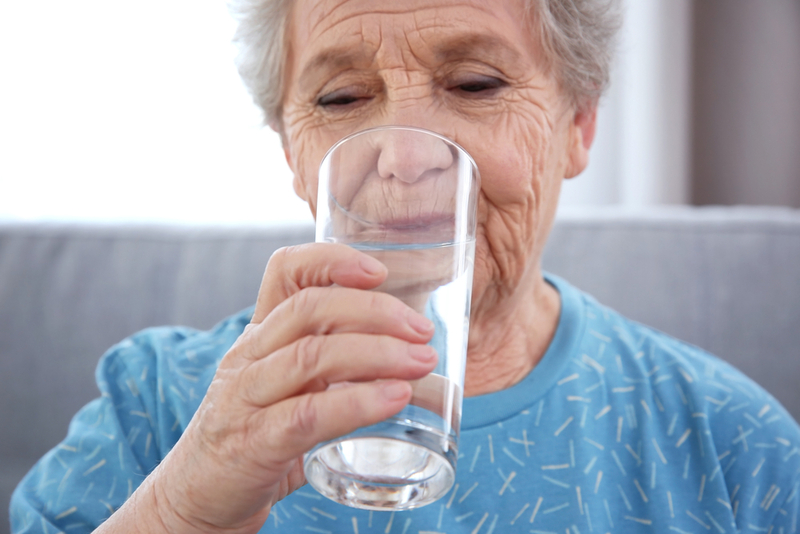 Drinking plenty of water is crucial for everybody in the summer, but especially for seniors. As you age, your body loses the ability to conserve. Encourage elder loved ones to drink several sips of water throughout the day and talk with their doctor about whether to add sweat replacement drinks containing salt and potassium into their diet. Several drugs have adverse side effects associated with sun exposure. Check with your loved one’s doctor or pharmacy to learn more about the medications they’re taking and their side effects. Additionally, keep pills out of direct sunlight, as many prescriptions lose their effectiveness in high temperatures. Seniors with chronic medical conditions like heart or kidney problems are more prone to illness in fluctuating temperatures. Keep indoor temperatures comfortable for your loved one and encourage them to sit in the shade when outdoors. Staying active is a central tenet of elderly care, but make sure your loved one is getting their exercise in the mornings or early evenings when the temperatures have cooled. Exercising in the middle of the day when it’s hottest will make your loved one more susceptible to dehydration and heat stroke. These tips will ensure your older family members’ safety in the summer heat. If the seniors in your life need extra support this season, contact Visiting Angels of Northeastern Connecticut in Tolland, CT. Whether you need a professional to assist with daily chores or administer medications, the staff at this home health agency will provide compassionate elderly care for your loved ones. To learn more about their services, visit their website or call (866) 872-6084.